And I will be taking everything real slow. 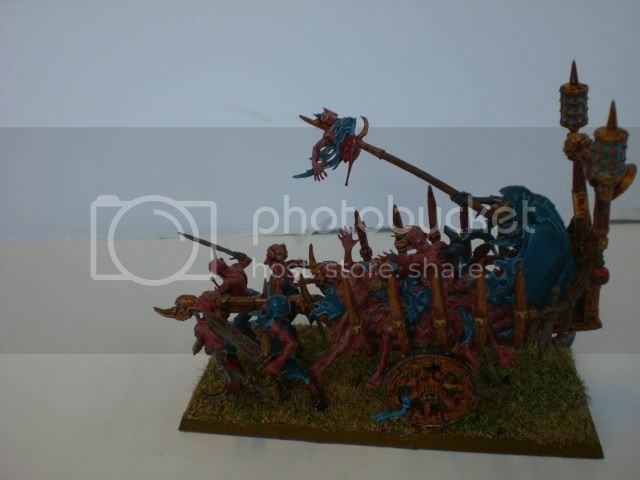 The less said about my attempt to find a new club the better, moving swiftly on I have a 2400 point Warhammer game on monday against the new Daemons. I have yet to see the new book and I have not played for a few months so I am a bit rusty. 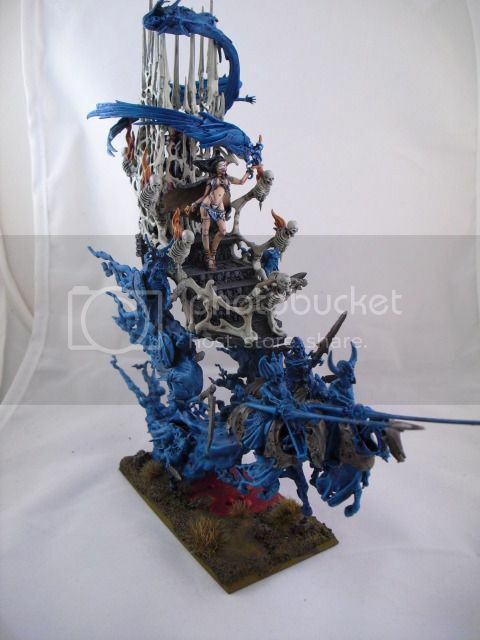 It is a basic support strategy with the corpse cart and Mortis engine riding behind the main body of (dead)men shambling forward. With a great combat Vamp and some auxiliary casters around him. Especially the Necro who can boost the Skellies while they bimble towards the enemy. As subtle as a brick but quite hardy too and it will allow me to get back to grips with the rules. So till later when I bemoan the overpowered Daemons or laugh at their woeful new book.